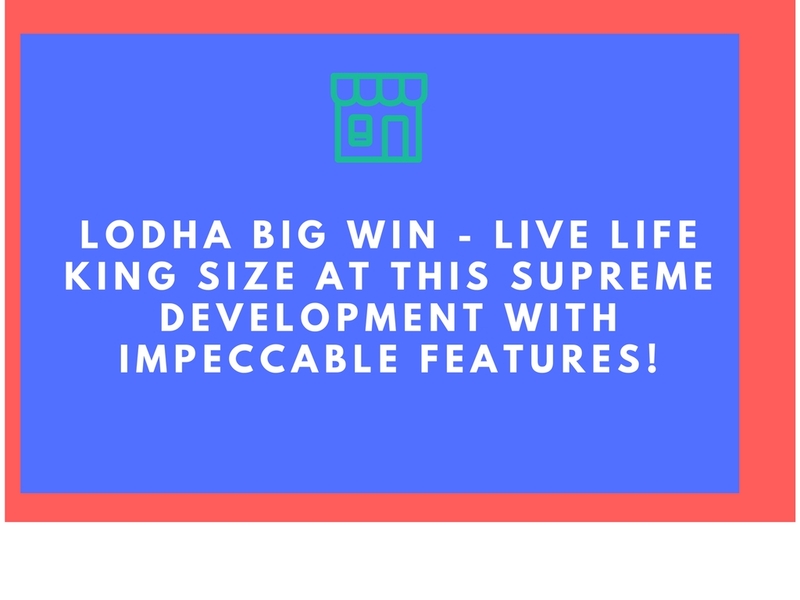 Lodha Move Up in Mumbai at Jogeshwari is the new residential launch by Lodha Group offering 1 BHK apartments of size ranging between 380 sq. ft. to 450 sq. ft. . The project enjoys various amazing features that makes life comfortable some of them are World class gym, Electronically controlled access to building, Architecture by world renowned master architect, Hafeez Contractor, Landscape design by Sitetectonix Singapore, Building designed in Art Deco style, Grand double height Entrance Lobby, 4 Nos high speed Elevators, Grand club on 22nd floor with amazing views of Aarey Greens and Western Seaboard, Stunning Sky lounge on terrace – to hang out, socialize and party, Ample car parking – one car park for each unit, Advanced fire fighting system, CCTV monitoring of common areas, RFID controlled parking access ,Café with library and indoor games. The price can be easily accessed via S V Road, Western Express Highway, and New Link Road.